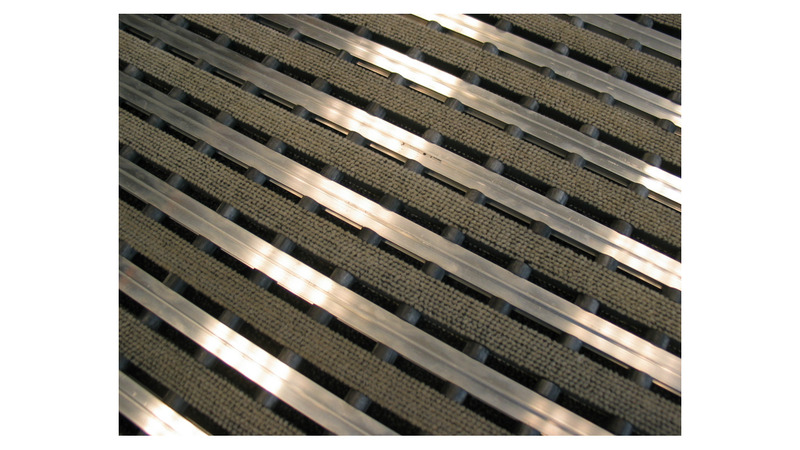 Our Duplo mats are standard manufactured in a closed construction, thus trapping dirt. This construction makes that your entrance is easy to clean and you do not have to lift the mat out of the well regularly. But an open construction is also possible and provides your entrance with an entirely different look. Our Duplo mat open construction is assembled in the same way as the Duplo mat standard, with this difference that a 4 mm EPDM cup is constructed between each profile and the aluminium, ensuring dirt to fall through the mat.